Muslim medicine is characterised by a high level of experience and critical clinical observation setting aside mythologies and legends. The ear, nose and throat exemplify the participation of Muslim medicine and the contribution of the great Arab physicians to the study of anatomy, physiology and diseases of these organs. Figure 1. A miniature illustrating the treatment of a patient. Serefeddin Sabuncuoglu. Jarrahiyatu'l-Hâniya. Millet Library, Ali Emiri, Tib 79. It is a good practice to unroll the pages of the past to discover the successive steps by which the existing state of things has been brought about. This statement is confirmed by Charles Cumston (1926) who said that "we can never be in full possession of a science until we know the history of its development" . The Muslim civilization started at the seventh century and progressed rapidly in a relatively short time. The Quran mentioned the ears and the sense of hearing several times and stressed its importance for learning, understanding and the development of mental capabilities . It also mentioned the larynx and the respiratory distress that may be fatal in cases of severe exhaustion . The nose, mouth, face and ears receive good hygienic care, as they should be washed several times daily in the process of ablution before the regular prayers. There are several sayings by Prophet Mohammed about care for the ears, nose and throat and the use medications for their problems. In this respect he encouraged the use of local antiseptics, the hot and cold fomentations and the occasional use of venisection, cupping and thermo-cautery . During later centuries at the time of the Umayads and Abbasid dynasties, more than one thousand eminent physicians led the progress of medicine in the main capitals of the Islamic world, Baghdad, Damascus, Cairo, Alexandria, Qairouan, Cordoba, Seville and Valencia. Ear, nose and throat diseases and their treatment were under the care of general physicians, surgeons and paediatricians. By their original thought and highly skilful medical practice, they added new discoveries, inventions and information to the existing knowledge of the anatomy and physiology of the ear, nose and throat. They discovered new diseases and new lines of medical and surgical treatment. All this has been documented in several large medical books describing their work, that remained the essential reference works for many centuries all over the ancient world . Previous knowledge of the anatomy and physiology of the ear, nose and throat was limited and the method of hearing and phonation was unknown. Credit goes to Rhazes (850-923), Avicenna (980-1036), Ali Ibn Abbas (……-994), Abdol Latif al-Baghdady (1161-1242), Ibn al-Baladi (……-971), Avinzoar (1092-1162), Abulcasis 936-1013) and Ibn al-Nafis (1210-1288) for the detailed description of the anatomy and physiology of the ear, nose and throat. They devoted complete chapters in their medical books to that purpose. The books are al-Hawy by Rhazes, The Canon by Avicenna, Al Kitab El-Malaky by Ali Ibn Abbas, The Compendium in Medicine by al-Baghdady, The Care of Pregnant Women, Infants and Children by Ibn al-Baladi, Al-Tayseer by Avinzoar, Al-Tassrif by Abulcasis and Al-Shamel Fi Sinaat Al-Tibb by Ibn al-Nafis [6,7,8,9,11,12]. Figure 2. Application of the cauterization method to treat a sick man. Serefeddin Sabuncuoglu. Jarrahiyatu'l-Hâniya. Millet Library, Ali Emiri, Tib 79. The anatomy of the ear was well described by Avicenna. The auricle has a funnel shape to collect sound waves, the external auditory canal has a narrow curved passage to protect the ear drum and to keep the external ear warm. This shows the importance of using warm ear drops in therapy. The drum is a thin membrane that responds to sound vibrations [6,7]. Ali Ibn Abbas  al-Baghdady  and Ibn al-Nafis were the pioneers who corrected the mistaken belief of a single common nerve to the ear and face and proved that there are two separate cranial nerves for them. Avicenna was also the first to explain hearing as the reception of sound waves on the ear drum . The anatomy of the pharynx and larynx received detailed description by Avicenna. He described cartilages, ligaments, joints and the small muscles of the larynx, and identified their role in performing the different laryngeal functions . Ibn Sidah, the eminent scientist and linguist of the tenth century, wrote a large text book, "Al-Mokhassus", on speech and singing. He described the characters, degrees and types of human voice. He added new scientific terms to describe the voice intonation, rhythm, humming, repetition, and resonance. He differentiated between pleasant toned voice, husky and melancholic voice . Further phonetic studies were described by al-Faraby (878-950), the great Arab philosopher of the tenth century in his large valuable book "The Great Musician" . More significant additions were found in the writings of Safa Brothers, a group of Arab philosophers who wrote a large collection of treatises on speech and other subjects. They explained sound, speech and language . Their studies are considered the summit of pure science and forms the bases of present-day phonetic science [18,28]. In the middle ages there were no equipment or tools available for the diagnosis of diseases. By their good observation and clinical skill, the Arab physicians were able to diagnose most of the known diseases of the ear, nose and throat. As early as the ninth century, a complete documentation of the diagnosis and management of the diseases was available and large numbers of text books were written and became the main reference works for many centuries. 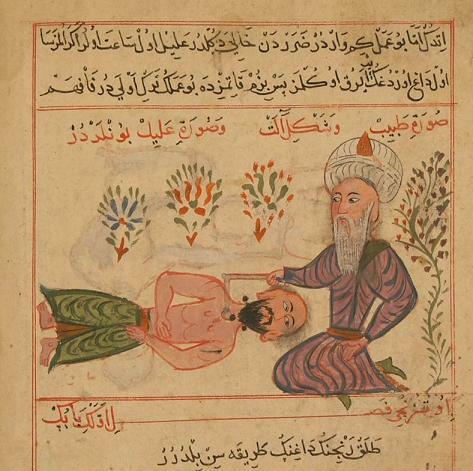 Rhazes (850-923) devoted a medical book to dealing with diseases of the teeth, ear, nose and throat, beside complete chapters in his large voluminous book "Al-Hawi". He used to examine patients under direct sunlight or by the use of reflecting mirrors, using special specula for the ear and nose and tongue depressors for the mouth and throat . He described the inflammatory diseases of the external and middle ear and enumerated their complications, beside the description of the other diseases of the nose, mouth, pharynx and larynx . He was the first to describe seasonal rhinorrhea and gave its causes, beside the study of different forms of the common cold. He was also the first to differentiate measles from smallpox and corrected the mistaken belief that they were one disease [22,25]. He identified alcohol and was the first physician who used it as a good antiseptic. In surgery he added new discoveries. He has the credit of being the first physician who used general inhalation anaesthesia in the form of the anaesthetic sponge. A sponge immersed in a solution of opium, hyocyamus, mandragora and loisleuria was for inhalation before any surgery . He used catgut in surgical practice for the first time and used to sterilise his instruments in a fresh liquid of bile. He also devised new surgical instruments used in his surgical practice. The most admirable device was his invention of the knotted rope for the removal of nasal and nasophayngeal swellings. It is a thin rope with multiple knots, passed through the nose to the mouth and moved in out, having the same action as the present Gigli saw . Avicenna (980-1036) was one of the leading Muslim physicians. He collected and synthesised much of the earlier work whilst also making additions. His major medical textbook "The Canon" became one of the main reference works in medieval times. This work is a monumental contribution not only to medieval medicine but also to the universal history of professional medicine of all times. It was preferred over the previous medical works of Hippocrates, Galen and Rhazes in teaching in Eastern and Western universities. His study of diseases and their management was partly borrowed from antiquity and partly developed from his own empirical observation and practices that are still alive today in traditional medicine in Far Eastern countries. 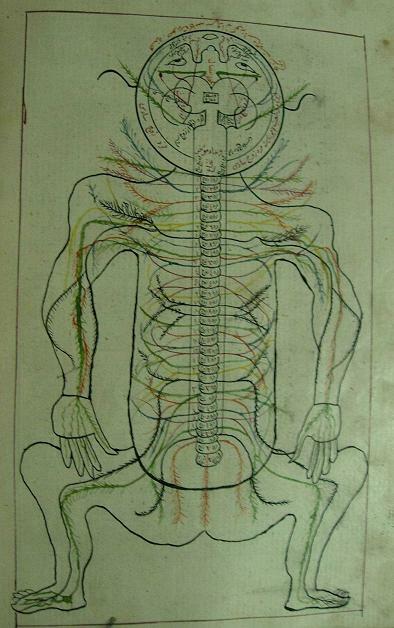 In his large encyclopaedia of medicine, Al-Canon, he devoted complete chapters to the anatomy, physiology and diseases of the ear, nose and throat . Figure 3. A human body miniature shows internal organs. By Mansur bin Muhammad bin Ahmad, Kitâb-i Tashrih-i Badan-i Insân. Cerrahpasha Medical Faculty Library, 31. For the diagnosis of E.N.T diseases he used reflecting mirrors, special specula and the use of finger palpation to differentiate between different swellings. His highly developed skill in palpation enabled him to diagnose oral, pharyngeal and laryngeal diseases with great accuracy. He could differentiate between benign and malignant lesions and was able to diagnose vocal cord paralysis without any light visualisation . He gave detailed information about the ear, nose and throat symptoms of deafness, tinnitus, vertigo, rhinorrhea, hoarseness, dysphagia and stridor. He enumerated the known causes of deafness and tinnitus and enumerated at least five types of tinnitus and referred for the first time to the oto-toxic deafness and tinnitus . He devised new tools and instruments for the examination and diagnosis of diseases. He described a new way for evaluating the level of hearing by a free field voice test. He advised also for the first time a new curved metal tube made of silver or gold passed orally to the larynx to save suffocating patients. However, some historians have wrongly attributed the performance of the first endotracheal intubation to Mac Ewan and Einsenmenger in 1847 . He used to perform his surgical operations under general inhalation anaesthesia administered by the anaesthetic sponge, and to sterilise the instruments in fresh liquid of bile and devised new instruments for surgery of the ear, nose and throat . Ibn al-Baladi (……-971) was an eminent paediatrician during the tenth century, who wrote complete chapters on diseases of the ear, nose and throat in his large medical book "Care of Pregnant Women, Infants and Children" . He discussed in detail the congenital, traumatic, inflammatory and neoplastic diseases of these organs . Avinzoar (1092-1162), a great physician of Andalucia, who lived in Seville during the 12th century wrote a large medical book "Al-Tayseer", in which he fully discussed diseases of the ear, nose and throat. He was the first Arab physician who disputed the humour theory of Hippocrates; he denied the four humours of the body and confirmed the presence of one body liquid which is the blood [12,24]. He was the first to give a real scientific aetiology of the inflammatory diseases of the ear, clearly discussed causes of stridor and gave a correct description of the tracheostomy operation for suffocating patients . Abulcasis (936-1013) whose full name is Abol-Kasem al-Zahrawy, was a great 12th century surgeon, who is honourably considered the Father of Arab and European surgery. His large medical text book, "Al-Tassreef", is the first classic reference of his time. The thirtieth volume of this book is devoted to general surgery in which surgery of the ear, nose and throat is described in detail [6,9]. His eminence as a surgeon made historians consider him of equal reputation and standing and even surpassing Hippocrates. His surgical techniques flourished all over the world until the 18th century and have persisted in a modified form in our present day surgery [10,19]. He devised about 200 new surgical instruments such as knifes, curettes, retractors, spoons, sounds, hooks, rods and specula . In his surgical practice he adopted such Arab innovations and additions as the use of the anaesthetic sponge for inhalation anaesthesia, the use of ice locally for surface anaesthesia, the sterilization of instruments in a fresh solution of bile. As did Avicenna and Ali Ibn Abbas, he used to ligate bleeding vessels at operations which was a new Arab addition [10,19,26]. Abulcasis revolutionized thermo-cautery by devising many new cauterizing tools for different purposes and he used them in the treatment of many diseases. This rational and careful use of thermo-cautery convinced historians to consider him the real inventor of thermo-cautery . Figure 4. A human body miniature shows the blood vessels and nerve system. By Mansur bin Muhammad bin Ahmad, Kitâb-i Tashrih-i Badan-i Insân. Cerrahpasha Medical Faculty Library, 31. The Muslim medical history comprises many other examples of great physicians, who added important innovations and discoveries to the field of the ear, nose and throat. Those who can be mentioned with great respect are Ali Ibn Abbas al-Magoussy (……-994) and his large text book, Al-Kitab Al-Malaky, Ibn al-Gazzar (899-979) and his medical book Zad al-Mosafer, Abdel-Lateef al-Baghdady (1161-……) and his Compendium of Medicine, and Ibn El-Nafis (1210-1288) and his large medical book, Al-Shamel Fi Sinn-aat Al-Tibb. Muslim medicine is characterised by a high level of personal experience and critical clinical observation setting aside mythologies and legends. The ear, nose and throat exemplify the participation of Muslim medicine and the contribution of the great Arab physicians to the study of the anatomy, physiology and diseases of these organs. The Arab additions, discoveries and innovations were vital in the progress of medicine. They were all quoted by European physicians and helped in the rapid appearance of the European Renaissance. A final word that deserves to be mentioned is that declared by the European physician De Boer who said "Medicine was absent till Hippocrates created, dead till Galen revived, dispersed till Rhazes collected, and deficient till Avicenna completed . 1. Cumston C.G., "An Introduction to the History of Medicine", Kegan Paul, Trench, Trubner and Co. Ltd, London, 1926, p. 78. 2. Al-Quran, The holy sacred book of Muslims. 3. Ibn El-Goziah, "Prophetic Medicine" (In Arabic), Arab Books Revival Press, Cairo, 1957, pp. 38, 66 and 74. 4. Guerrier Y. and Kuhn P.M., "Histoire des Maladies De l'Oreille, du Nez et de la Gorge", le Editions Roger Dacoste, Paris, 1980, pp. 18, 157. 5. Stephens S.D.G., "The treatment of Tinnitus, A Historical Perspective", the Journal of Laryngology, and Otology, October 1984, Vol. 98, p. 963. 6. Kataya S. (1982), "Ear Inflammation in Children in Arab Medicine", Proceedings of the Child in Arab Medicine Intern. Conference, Tripoli, Libya, March 15, 1982. 7. Avicenna A.H.A., "Al-Canon in Medicine", Vol. 1, 2 & 3, Dar Sader Press, Beirut, Lebanon, 1980, pp. 55, 148, 161, 1988. 8. Ibn al-Baladi, "Care of Pregnant Women, Infants and Children" (In Arabic), translated by Dr. Mahmoud Kassem, Ministry of Culture, Iraq, 1980, p. 262. 9. Abulcasis A.K.Z., "El-Tassrif", El-Nami Press, El-Kinoue, Vol. 30, Egyptian Public Library, No. 1035 Medicine. 1908. 10. Sigrid Hunke, "Allahs Sonne Uber Dem Abendland Uber Arabisches Erbe", Translated by Farouk Beydoune under the title of "Sun of Arabs Rises on the West", First Edition, The New Dar al-Aafak Press, Beirut, Lebanon, 1964, pp. 238, 279. 11. Ali Ibn Abbas al-Magussy, "Al-Kitab El-Malaky", Boulaq Press, Vol. 1 & 2, 12877, p. 462. 12. Avinzoar, "Abd al-Malek Ibn Zohr", "Al-Tayseer Fil Modawat Wal-Tadbeer", The 3rd Week of Science, The High Council of Sciences, Damascus, Syria, 1972, p. 148. 13. Abdol-Latif al-Baghdady, "Two Treatises on Sensations", Realised by Dr. Paul Ghalliounghi and Saieed Abdo, Kuwait, 1972, p. 85. 14. Ibn al-Nafis, "Al-Shamel Fi Sinaat Al-Tibb", Bodleian Manuscript Group, Youkuk, No. 248, 290, 291, 356, and 539. 15. Ibn al-Gazzar, "Siyasat Al-Sobian Wa Tadbeerohom", Realised by Mohammed Heilah, Tunisie, 1968, p. 102. 16. Sercer A., "Tracheostomy Through Two Thousand Years of History", Ciba Symposium Journal, Vol. 10, No. 2, 1965, p. 78. 17. Ibn Siedah A.A.I., "Al-Mokhassus", First Edition, Amiriah Public Press, Bulaq, Cairo, 1898, p. 142. 18. Al-Faraby A.M.T., "The Great Musician", Arab Writers Publishing and Printing House, Cairo, p. 1069, 1085. 19. Hussein M.K., al-Tennir A., al-Roby M. and Arab M., "The Concise History of Arabic Medicine and Pharmacy", The Arab League, 1978, pp. 85, 104, 207, 408. 20. Saleem Ammar, "Ibn al-Jassar and the Medical School of Qairouan", Proceedings of the 36th Intern. Congress of History of Medicine, Tunisie, Carthage September 1998. 21. Posty A.M.N., Zingati A.A.H., Nahregory and Rifaha O.Z. "Safa Brothers' Letters", Eygptian Printing House, 1857, pp. 117, 437. 22. Salman Kataya, "Comments on Rhazes' Treatise on Rhinorrhea", Journal of History of Arab Sciences, Vol. 1, No. 1, 1977. 23. Rhazes M.Z., "Al-Hawy in Medicine", The Ottoman Council of Knowledge, Heider Abad al-Dekin, India, Copy in The General Egyptian Library under the Serial No. 11193, year 1925. 24. Salman Kataya, "Abo Marwan Ibn Zohr", The Arab Medicine Journal of World Thought, Vol. 10, No. 8, Ministry of Kuwait Media, Sept. 1979, pp. 278, 286. 25. 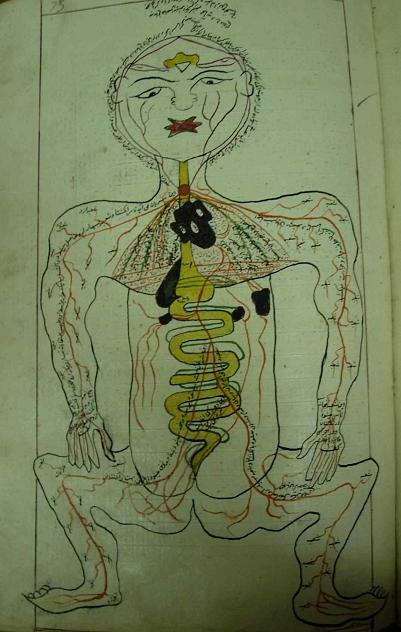 Faisal Dipsy, "The Ear, Nose and Throat in Rhazes's Medicine", Proceedings of the 16th Intern. Conference on History of Sciences, Emirates, Dec. 1996. 26. Khaled al-Hadidi, "The Role of Muslem Scholars in Oto-rhino-Laryngology", The Egyptian Journal of O.R.L., Vol. 4, No. 1, 1978, pp. 1-15. 27. Sabra A.I., "Avicenna", The Encyclopaedia Americana, Grolier Incorporated, U.S.A., 1982, Vol. 2, p. 87. 28. Letters of Safa Brothers and Waffa Friends, Dar Sader Printing House, Beirut, Lebanon, 1957.